This was one of the last stops on our vacation road trip and it was one of the most beautiful places we happened to visit. 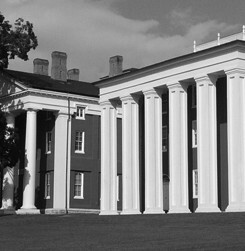 This is part of Washington and Lee University which is located in Lexington, Virginia. It’s named after George Washington and Robert E. Lee and is the ninth oldest institution of higher learning in the country.